A workstation is a specially designed computer that is used for specific applications that can’t run on a desktop computer. They are mainly used for CAD, CAE, HPC, post production, bio-medicine applications and even in brokerage firms. There are mobile workstations, tower workstations or rack workstations available. 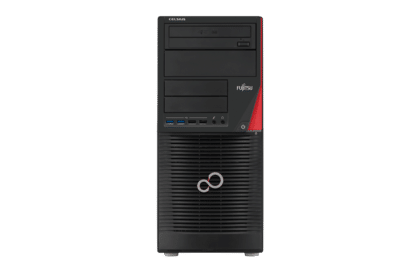 Generally fitted with the latest Intel Xeon CPU’s and DDR4 RAM, computing power is very high and second to none when it comes to professional desktop workstations. Most are easily expandable allowing you to manage upgrades easily, allowing for newer hardware. As said above, workstations are much better performers than desktop PC’s due to the fact of better hardware components used. Workstations also have better cooling capabilities due to the hardware being put under high loads with the applications running, as home desktops are used for day to day browsing the internet, Microsoft office applications and media viewing. A workstation normally fits under a desk is tower based and takes up floor space. The fundamental issue with these is that due to the extra memory, larger processor, faster graphics card etc, they generate more heat and noise than a PC and this means that needs require extra cooling and ventilation. A workstation, unlike a PC, is designed to deliver higher performance, operate for longer and are normally provided with a better warranty. They are far more expensive than a PC have better/faster processors, upgraded graphics card, motherboard, memory, power supply, additional network ports and more cooling as they are designed to be powered on for longer. They are used to carry out specific tasks such as engineering, scientific, technical, CAD/CAE, Media/Entertainment or any other dedicated tasks and in many cases are just as powerful as a server. It is not uncommon for a large post production house to have more than 20+ machines at £6k-£10k a piece on average. Clearly, there is a business case to consolidate these systems is to save energy, cooling, floor space, noise and money. Why not replace the workstation tower with a Zero or Thin client that sits on the desktop taking up very little space, doesn’t require additional cooling, runs silently and seamlessly connects to your workstation over Ethernet? Rather than sit those cumbersome tower systems in a rack why not install 1U or 2U rackmount workstation that supports either NVIDIA or AMD graphics cards, use the latest Intel processors and support up to 3TB memory that allows you to share the graphics and compute power? Need a dual socket rackmount workstation? We provide 2U rackmount workstations with i.e. NVIDIA GTX 1080 cards, Intel® Xeon® E5-2600 v4 product family with up to 22 cores per CPU and up to 3TB DDR4 memory! Due to the nature of your business, you might need a specific type of graphics card, disk, network etc. By working with us we are able to provide a workstation that is fully supported by the ISV and hardware vendors. We also can provide the same level of support and warranty. If you’re interested in exploring these exciting possibilities in more detail please call us on 01256 331614, email sales@fortunadata.com or visit these pages for more information 1U rackmount ¦ 2U rackmount.